If you’ve just started your own business, gone freelance or have had enough of working from home, then hot desking may be your next option. But before you start shopping around, take the time to consider whether it’s the right option for you. Here, Robert Okulus, manager of Anytime Offices, shares his advice. Location location – if you are used to working from home, then the location of your hot desk is important. Building long travel times into your day, will add additional ‘wasted’ hours to your working week, which is unnecessary. In this instance, it would be far better to choose a hot desk in your local suburb so you can have all the benefits of working away from home without the burden (and stress) of travel times. If, on the other hand, you are used to travelling around for work, perhaps to meet clients at their offices, then having a city based hot desk is ideal because, with the right set-up, such as shared meeting rooms and facilities, you can save travel time by holding meetings at your office. Choosing the right location for your hot desk can get you off to a flying start. Try Before You Buy – many professional co-working organisations will allow you to try their premises for free before you buy. This gives you a chance to see how the set-up suits you and if you can visualise yourself using the service regularly to make it worth your while. Equipment – before you opt for a hot desk, consider what equipment you need for your working day. If all you need is your laptop and mobile phone, then a hot desk is a great option. If, however you need a place to store files, a heavy duty printer and large supplies of stationery, it might be easier for you to opt for your own office that you can set up as you like and turn-up to as required. With some shared office services, storage is supplied, so look into this because, together with some back-up admin services, this might be a good middle-ground, depending on your frequency of use. Services and facilities – if you just need a place to plonk your laptop, then you may be able to choose a hot desk in a private office setting an virtual office and this may be a more cost-effective option. However, if you need some help with admin support such as photo-copying and couriers, or you need a smart, fully functional boardroom, then you may be better off opting for a commercial hot desk/co-working company that can look after your professional needs on an individual basis. Having back-up with admin services can often be very useful if you are working alone or freelancing, enabling you to concentrate on growing your business, rather than getting involved in mundane tasks. Networking – hot desking can be a great opportunity to network with other professionals, providing all the benefits of working in an office environment, without any of the politics. This can be particularly useful if you need to expand your professional networks. Every day I see many people who work in complementary or completely different industries, connect over coffee and often these regular meetings can lead to joint initiatives and ventures that can be very lucrative, especially for sole traders and those starting out. At Anytime Offices, we support networking opportunities by meet and greets and monthly drinks, so members can get to know each other out of hours, which helps build a pleasant and supportive working environment. We always make sure there is a communcal space too, that members can go to for some down-time away from their desk as everybody needs that from time-to-time during their working day. Practical Considerations – if you don’t mind working with background noise and can easily tune out possible interruptions from phone-calls and conversations, then hot desking is a great option. If however, you need silence or your phone-calls need to be private, then you may be better opting for a private office. Check out your options as some shared/virtual offices companies offer different zones so you can plan your working day accordingly. For example, there may be a ‘quiet room’ you can use for deep concentration or private phone-calls and then return to your hot desk for everyday tasks. 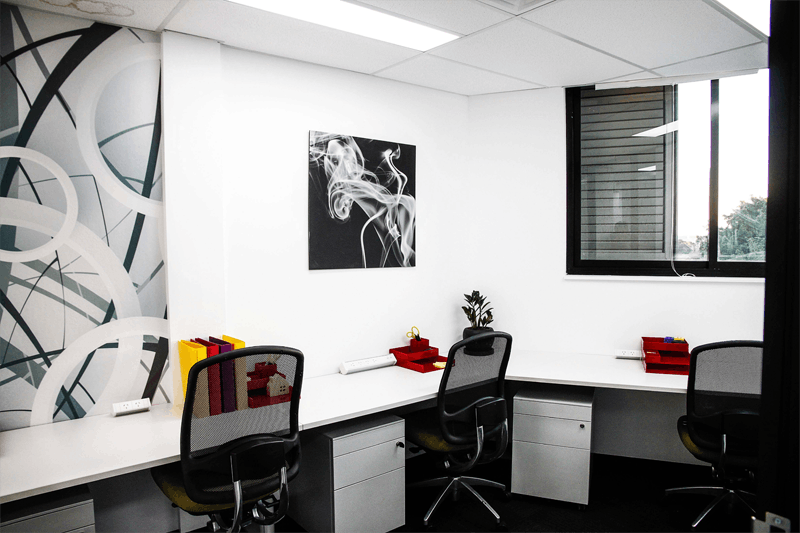 For further information on hot desking, shared offices, private or virtual offices, contact: info@anytimeofffices.com.au; tel: 02 8378 9100.